Towards the end of February we went to the Kakao Friends Concept Museum in Hongdae (Seoul). It’s is part Art Gallery and part Museum. It’s soul focus is the Kakao Friends, 8 different characters that originally were just Emojis for KakaoTalk. These characters are now everywhere and on tonnes of products. The 3 floors of shop above the Museum was packed on a Thursday lunchtime, proving their popularity. (+) Very cute with no empty spaces. (+) Features concept drawing and insights into the Kakao Friends creation. (+) Pretty quiet and not crowded. (+) Super clean, tidy and well managed. (+) Easy to find Central Location in Hongdae. (-) Small. You can see it all within 15mins (maybe less). (-) The 3,000won coupon (ticket price) buys basically nothing in the gift shop. (-) The required prior booking isn’t simple for non-Koreans. (-) Limited (and busy) Photo Spots. 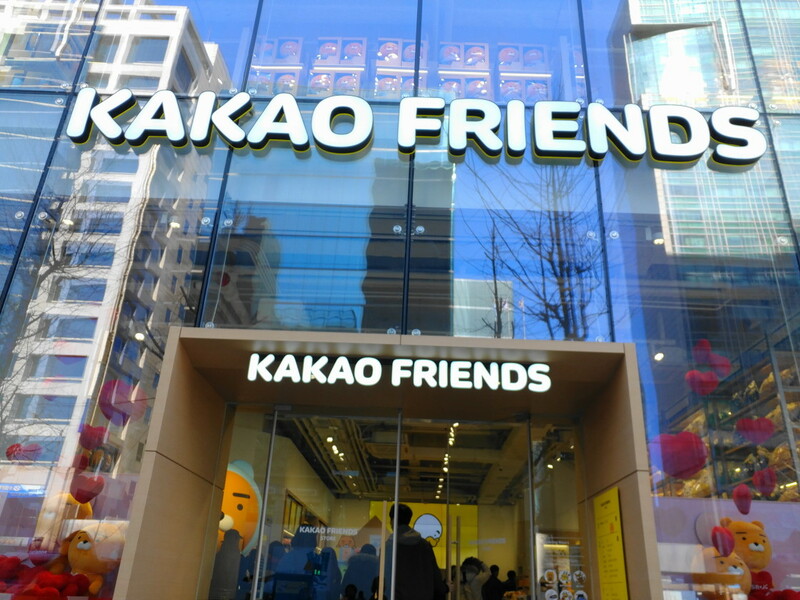 Overall if you like the Kakao Friends then it’s a fun little place to go during a trip to Hongdae, and it’s not going to break the bank. However if you don’t like or care about Kakao then there’s no reason to go, just pop into the store. Directions: It’s easy to find along the main street by Hongik Station (Subway Line 2). Exit 8 or 9, do a U-Turn and the store/museum is easy to spot. As always if you have any questions about the Kakao Friends Museum and/or anything else please feel free to let us know. Either below by Email or via Twitter or Facebook.